After 1,000+ entries and weeks of voting and anticipation, we finally have our PLAY FLOODfest winner! 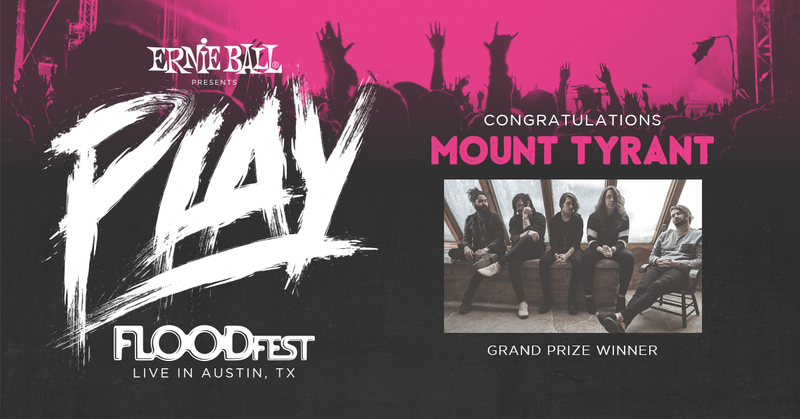 Mount Tyrant from Denton, TX wins our grand prize and will play FLOOD Magazine’s FLOODfest in Austin, TX. They also receive $5,000 in CASH, an Ernie Ball Music Man instrument endorsement, and gear from Blackstar, Zildjian, DW Drums, Mark Bass, Electro-Voice, Burton, and DTS.